December 20th-22nd, 2017 Bureau of General Education and Electronics Educational Innovation arrange INTERACTIVE E-book workshop for personnel, the opening remark is Dr. Natthaphong Techaratanaset, plan and executive vice director. 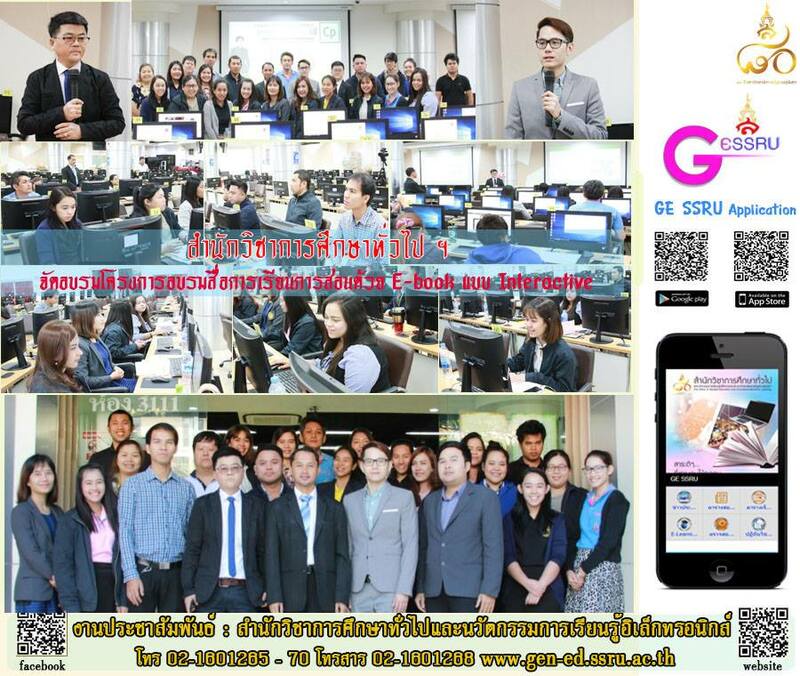 The speakers were Dr. Apichat Anukulwet and lecturer Somphorn Bunrin, expert level of E-learning media creation. Workshop provided training about E-learning creation, Captivate Program for study media creation talent development in general education subject, at computer laboratory room 3111, building 31, Suan Sunandha Rajabhat University.